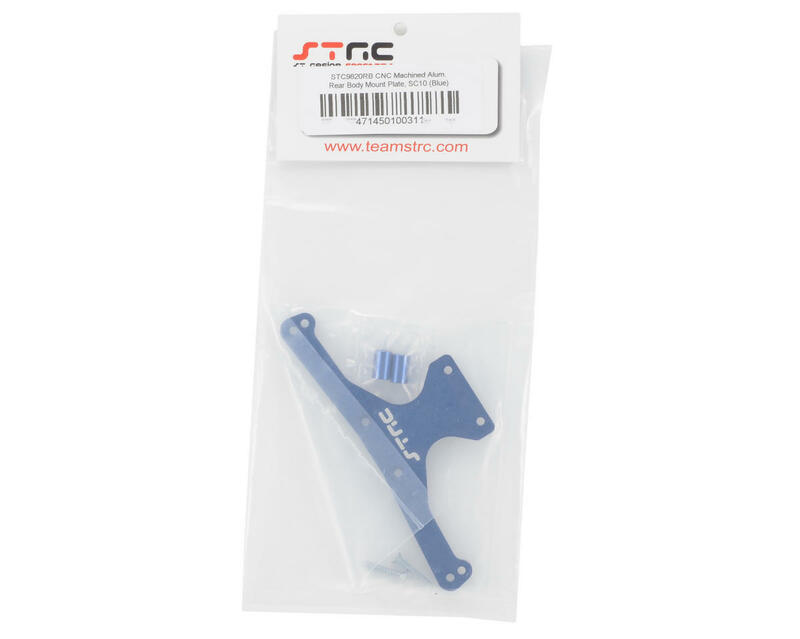 This is a optional ST Racing Concepts CNC Machined Aluminum Heavy Duty Rear Body Mount Plate, and is intended for use with the Team Associated SC10 1/10 scale short course truck. 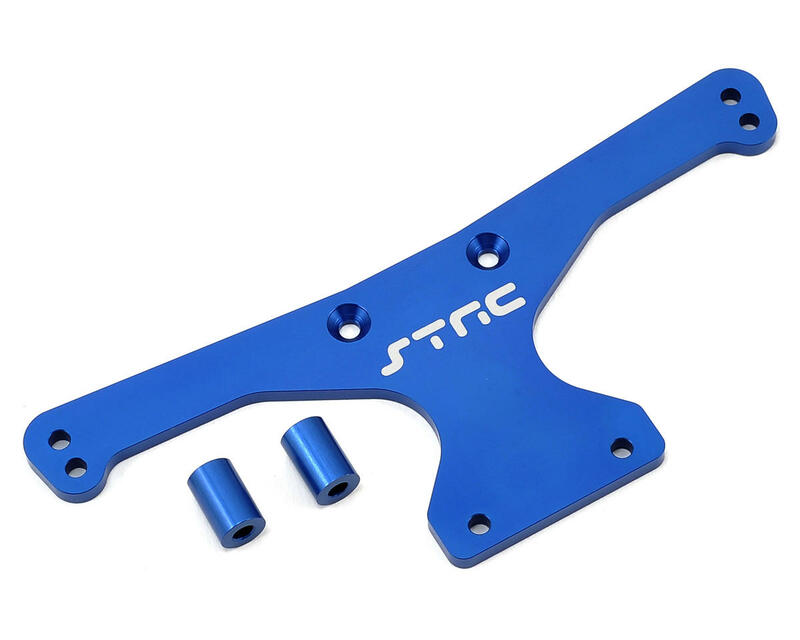 This part has been CNC machined from high quality aluminum and anodized blue, for durability and good looks and is a direct replacement for the stock parts. This thing is STOUT! It is very rigid and tough, and is a very nice true blue color. Installation was a breeze, and it eliminated the sag that the stock unit develops after a season of racing.